In the midst of my two week travel excursion, I just realized that my one year blogging anniversary has come and gone. 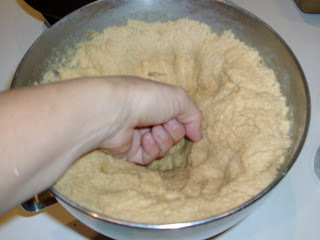 There are so many great whole wheat recipes but all that I use are specifically for mixers, not hand kneading. 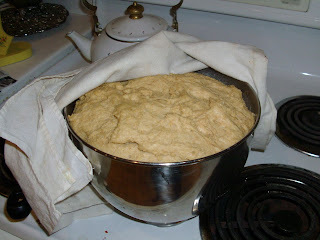 For those of you who are new to bread baking, I have a really easy to use french bread recipe for beginners that I was thinking of doing as a post, along with a video tutorial. Let me know if that would be a helpful addition. There is something about the sense of smell that creates powerful emotions. It’s a beautiful thing really. I do as well, and it’s as easy as plugging in the curling iron. Just pour the amber waves of grain into the hopper and…. I take it out of the bowl and flatten it all out. The kids love this part because it feels so squishy. 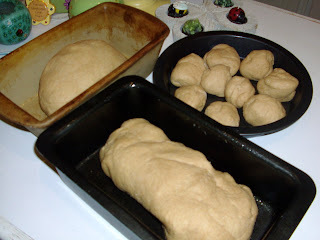 Then I divide it equally between loaves, rolls etc and shape them. I can’t wait to see what’s cooking in your kitchen this week. Happy 100-versary! Love the bread. Nothing smells better or tastes better! I just love bread! Yours looks delicious! 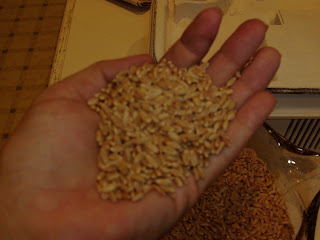 I have the same grain mill that you have. 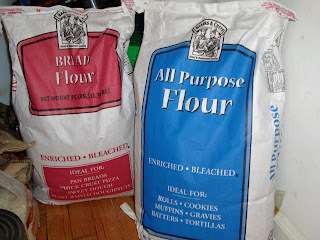 I think it sounds like a jet engine, but it makes wonderful flour! 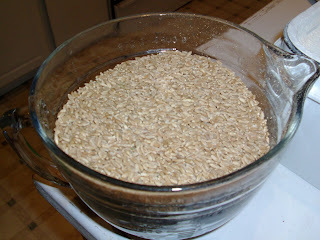 Grinding my own wheat… that's one I haven't tried yet. Happy 100! I really enjoy your blog! I love baking bread, too. It makes the house smell wonderful. Yours looks delicious! 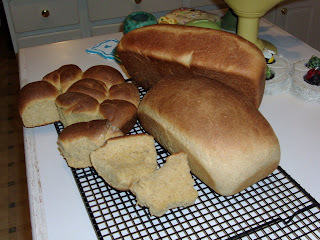 There is NOTHING like homemade bread. Thanks for sharing!!! Happy Blogiversary! Homemade whole wheat bread is one of the best things in the world. Yum! If I lived nearby I'd take you p on that offer. That bread looks great! Happy Anniversary! 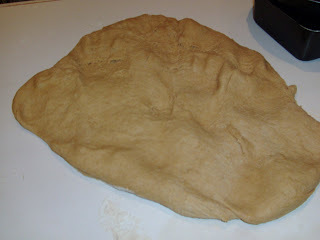 The bread looks great – I am far too new-baby tired to attempt this, however! 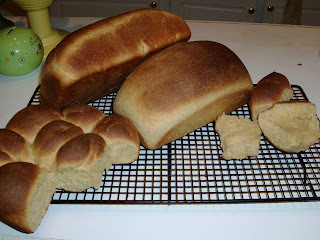 Looks great – nothing better than homemade bread. Thank you! I would really appreciate more tutorials and a video. I can never seem to get it right! 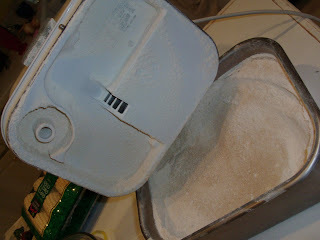 I use my bread machine for everything, but it's old. When it goes, I will probably not be able to run out and buy a new one for a while, so I should just learn to do it by hand…and well! Thank you for the great photos. You do such a good job of teaching as you share. 🙂 Are you going to She Speaks? I can't go this year, but will praying for all of those who will go and be blessed. Yuh-Mee! :o) Our pantries look the same! Have a great day! That's some serious wheat bread… ha! Congrats and that's me with the Mozz Pie. Enjoy! Yummy bread! 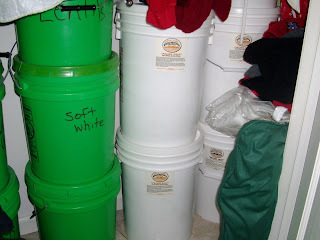 I haven't made any this summer….Perhaps I'll have to remedy that! 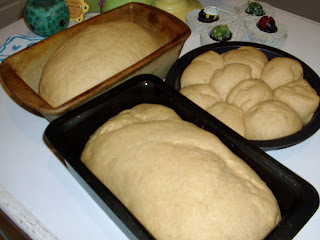 Oh how I miss baking bread! When my kids were younger I used to bake all our bread and now haven't done it in years. Perhaps you've inspired me? Hi Jen— I finally got my computer and your blog to kiss and make up! I tried numerous times yesterday and again this morning to get on here and leave you a comment but couldn't for some weird technology hates me reason. Thank you so much for your sweet words of encouragement yesterday on my blog! You made my day! I can't wait to meet you Friday – you are my kind of gal! 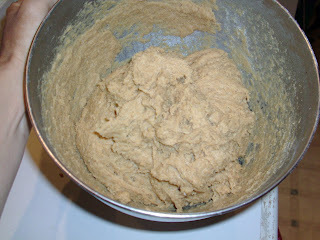 Homemade goody-healthy foods-coupon clippin'-daughter of the King! I am off right now to go make banana nut muffins with applesauce and oat-rageous raisin and cranberry cookies to take on our drive to Charlotte tomorrow so hubby doesn't buy donuts and junk food while stopping for gas!! I barely bake any bread and I really should! I like your post Jen! Happy Blogaversary to you! Please do share your french bread recipe! 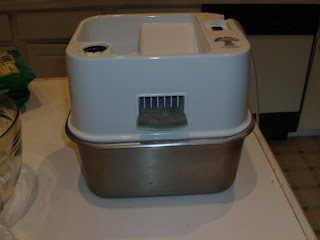 I would also LOVE your whole wheat bread mixer recipe… I've been looking for one, but only find the kneading type. 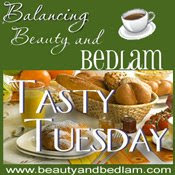 If you don't want to share it on your blog, feel free to email it to me at shannon.mangerchine@gmail.com.